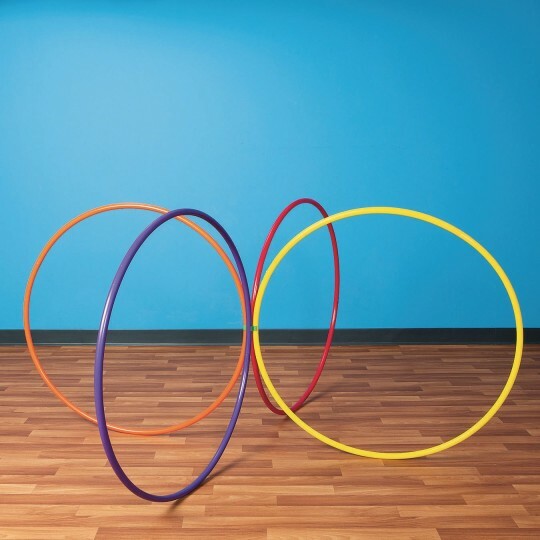 Get more out of your hoops! 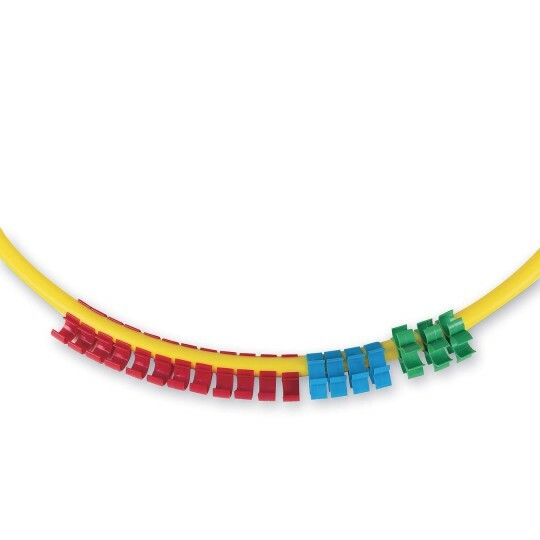 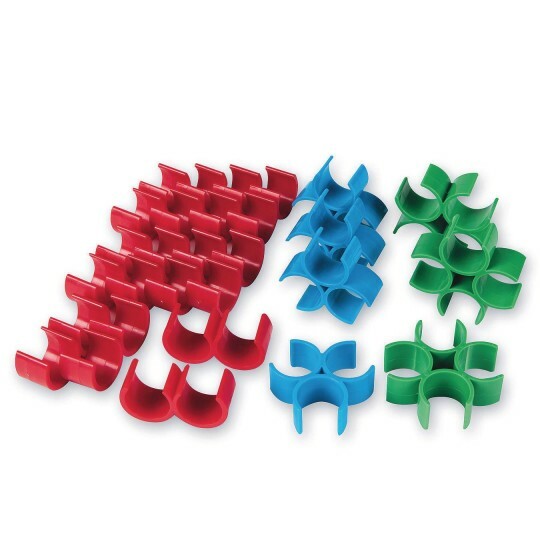 Get more out of your hoops than ever before with this pack of 19 assorted snap-on hoop clips that includes (12) 2-way clips in red, (4) 3-way clips in blue, and (3) 4-way clips in green, all made from durable ABS plastic. 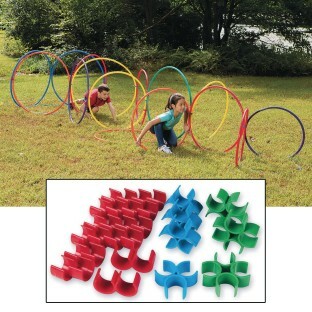 Use the 3-way and 4-way clips to create vertical structures and obstacles to walk or run through. Use the 2-way clips to add onto those structures or to connect hoops together on the ground for games and other activities. 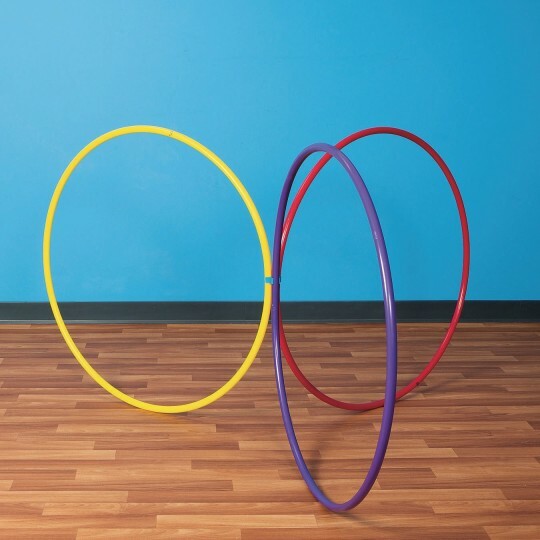 Clips work with any hoop (including competitors) with a cross sectional diameter of 0.85”, like our No-Knott Hoops and Super Hoops. 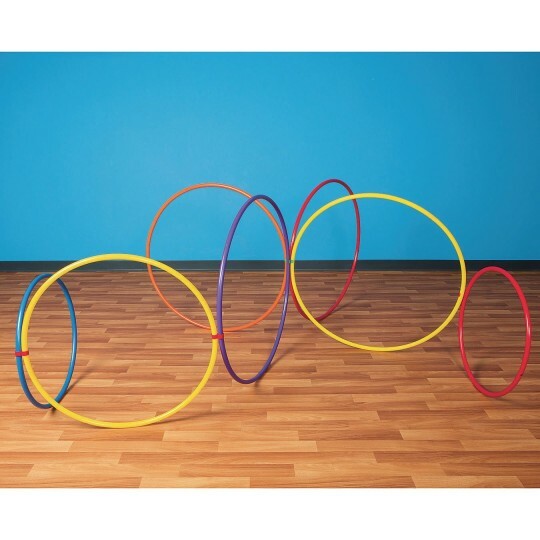 Will not work with our Economy Hoops.